Stigan Blog Do I Need To Buy My .ca Domain Name For My Canadian Business? Business owners in Canada who are seeking to grow their company by starting a website have a significant choice to make when it comes to domain names. The domain name itself is certainly important, and should be something that perfectly represents your company and brand. But aside from the actual domain name, it is a good idea to consider the advantages and disadvantages of a .com and a .ca domain name. To help you get an idea about which one will best suit your company’s needs here in Canada, check out some of the points below. The last thing any company need when they finally have their new website up and running is a crash. Not only is it a major nuisance that needs to be fixed, it can cause your business to lose out on potential profits. If someone manages to hijack your company’s domain and hold onto it illegally, they can cause a crash and make your life very difficult. In order to keep this from happening to your website, you’ll want know level of security your domain will receive as .com vs a .ca. With .ca domains, owners have an extra layer of protection from hijackers thanks to the domain name management from the Canadian Internet Registration Authority (CIRA). Unfortunately, this kind of oversight isn’t available for .com domain owners, making their websites more vulnerable to potential attacks. In Canadian market the smaller economy and lower population compared to our neighbours to the south translates into a lesser number of registered domains. In fact, there are only around 2.5 million registered .ca domains compared to over 100 million registered .com domains! What that means for Canadian business owners searching for a domain for their new company website is that there will be way more potential names to choose from. This can make it much easier to find a perfect domain name that truly communicates what you want potential clients and site visitors to know about your company and its website. With the wider availability of .ca names, you can make your domain as creative or as simplistic as you want, without having to worry too much about whether it will be as relevant as possible. One more advantage .ca domains have compared to .com domains in terms of overall availability is the fact that .ca domains may only be purchased by Canadians and Canadian businesses. This means that not only is it highly likely that a Canadian business owner will find the right domain for their company, it also means they won’t have to worry about domain squatters who would charge them an unfair amount to release their name. With .com domains, anyone can purchase them at any time in the hopes of turning a profit when someone actually wants to use that domain for a website. The digital community is usually understood in global terms when it comes to engaging in things like social media on the web, but when it comes to things like a business website, Canadian internet users have a different kind of perspective. In a recent survey, it was found that nearly 90% of Canadians think it is important for Canadian business owners to operate websites using .ca domains. In addition to this, about three quarters of Canadian internet users prefer to shop online at .ca domains compared to any other domains. 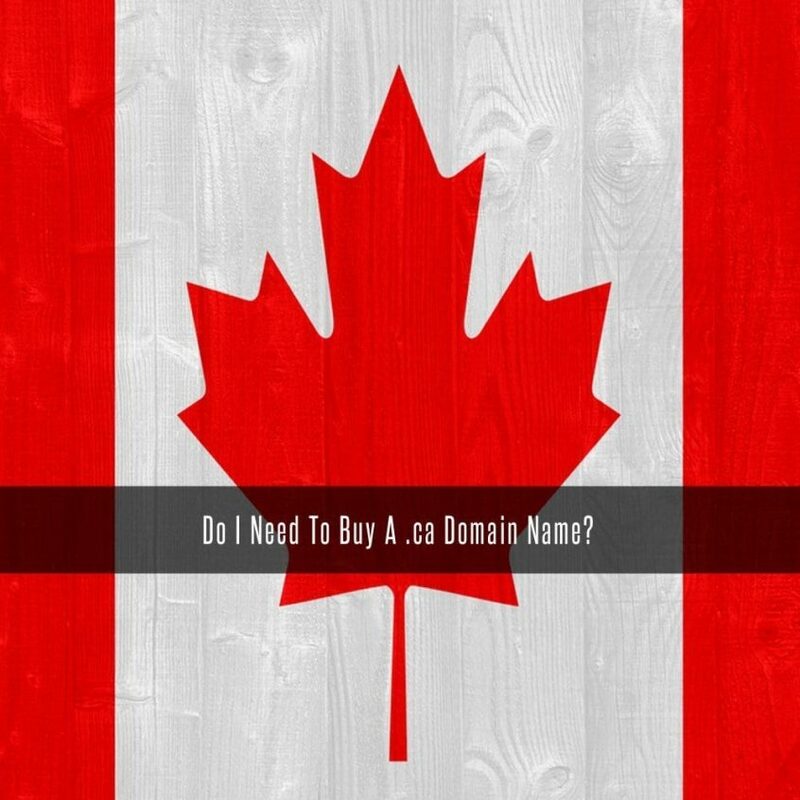 To gain more insight into how a .ca domain can be right for your Canadian based business, and to find out other ways to enhance your company’s digital marketing strategies, be sure to check out other articles like this on our website, or feel free to contact us today. You can also find us on Facebook and Twitter to get the latest updates and more helpful tips like these.